Aladdin is certainly not a Disney movie that fans of the company want to pass up. The blue genie of the lamp and a young boy go on an action packed journey toward their heart’s desires. However, the road to happiness is not so simple with an evil man named Jafar around. 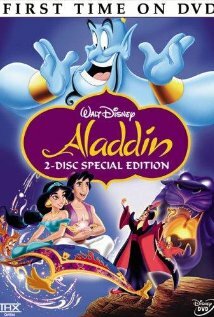 It will take the young man’s street smarts to stop the insane plots of the evil Jafar to save more than just his dreams. You will just have to watch to find out how things turn out. The film originally aired in theatres in 1992 so you know that this is new classic in the Disney world. To learn more, you should check out http://www.imdb.com/title/tt0103639/?ref_=sr_1. This movie gets a five out of five popcorns rating.